"Careful observation is paramount for the depiction of botanical subjects. 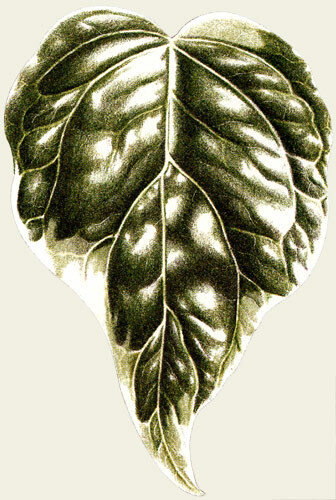 Here Ann Swan draws a single leaf using coloured pencils"
Draw a clear outline of your leaf with a sharp F or HB pencil. Mark the main veins very faintly in pencil observing exactly how they divide and sub-divide and where and how they meet the leaf margins (sometimes you can see the structure of the veins more clearly on the reverse of the leaf). Beside the faint pencil lines draw in the veins using Faber-Castell ivory. Again ensure a sharp point and press quite heavily as this line will act as a resist to colours layered on top. Resisting using a light coloured pencil first to resist darker colours layered on top. Incising using a fine engraver to incise fine lines. Layering building up several layers of different coloured pencils to achieve a final richer colour. Burnishing pressing very heavily with a light colour or a blender pencil on top of the layers to push the colour into the grain of the paper and blend the colours together giving a painterly effect. Lifting using low-tack sticky-backed plastic to lift additional fine veins. 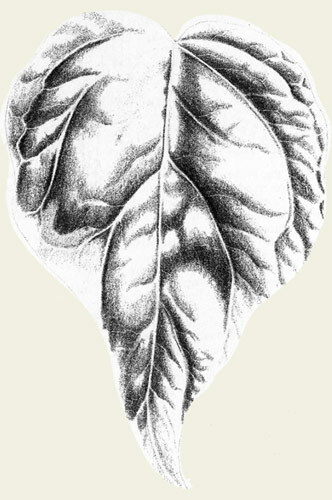 Now we are going to give some shape or form to the leaf by shading in any areas of strong shadow with a range of warm greys. 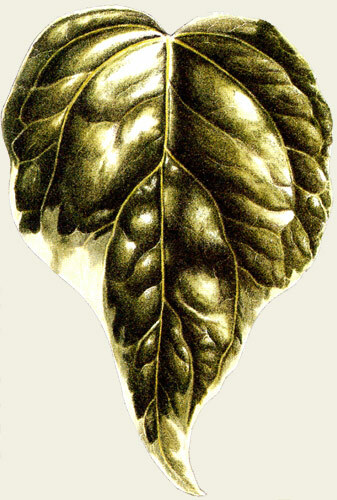 For the darkest green of the leaf we use a grey that is at least a tone darker otherwise it will not darken the green. I suggest using a warm grey V and for the lighter green a warm grey IV. 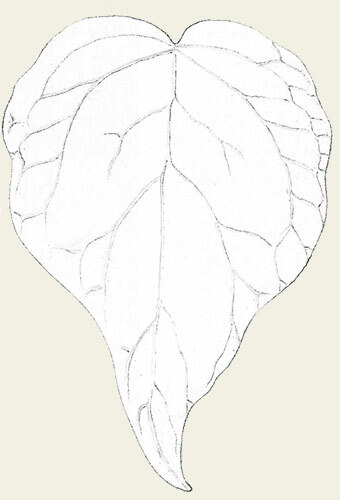 For the lighter cream areas around the edge of the leaf use a warm grey II. Vary the pressure as you apply the colour pressing more heavily for darker areas and less heavily in the paler parts. To obtain a smooth covering apply the colour using small shallow ellipses. Be sure to leave any areas of highlight white. It is better to leave more rather than less as you can always add more colour but you can't get back the white of the paper. Start with the darkest green of your leaf; in this case I have used Faber-Castell chrome green oxide, and apply pressing more heavily where the tone is darkest. Always use a mix of colours to achieve your final colour as this will add depth to your picture and vary the pressure from dark to light to create more contrast. Coloured pencil is a translucent medium so colours laid down first will affect the colours layered over them. Next, on top of the chrome green oxide, layer some chrome green opaque. Then add some earth green to the margins and finally some ivory around the edges. Now just add a touch of earth green yellowish to the veins to make them slightly greener. Then we burnish using a Lyra Splender pencil to give a more painterly effect and smooth the colour into the grain of the paper, pressing very heavily with little ellipses. This can make the colour slightly paler so you may want to re-emphasise the shadows by adding some more dark grey and dark green to the darkest areas. If you have lost some of your finer veins along the way or want to add more veins or areas of highlight, you can easily achieve this by using sticky-backed plastic and lifting off some colour by pressing with a fine point. Do not stick the plastic to your work, rather rest it lightly on top or you will lift off more than you bargained for. Once you have finished with the pencils you can lightly polish the surface with a clean cotton bud, taking care not to go over the edges, to give the surface a soft sheen and remove the directional waxy pencil marks.